How Do I Discuss Divorce with My Children? Discussing your separation with your children may be the most difficult and emotional task you face when filing for a Spokane divorce. In some cases, older tweens and teens may have a feeling it is coming. Others might feel completely blindsided by the news. Either way, preparing for the conversation can help you react to them with calm understanding. How you tell your children about your divorce depends on their age and how much they will understand. Children in elementary school need to know that you will take care of them. They will want to know if they are living with Mom or Dad, where their stuff will be, and whether they will be safe and happy where they are going. A teen will need more information, but remember: keep your conversation simple, and do not share unnecessary details. Do not blame the other parent. Tell your children the facts, and let them ask questions to better understand what to expect. When possible, parents should present a unified front by telling their children about the divorce together. This helps young children understand that the divorce is a mutual decision, and that you will both be OK.
For many couples, this is their first co-parenting venture. If this goes well, you can use it to build a strong foundation for future cooperation. If not, you can use it as a learning experience and improve on it for the future. You have decades of co-parenting ahead of you, after all. As a parent, you are probably well aware that children ask a lot of questions. This is especially true when they learn about a new situation that could impact every aspect of their everyday life. It pays to prepare for your children’s questions ahead of time. While teens may have deeper, more philosophical questions you can discuss with them later, younger children tend to produce an onslaught of practical questions right away. By figuring out the answers to these questions before you talk to your children, you can help reassure them. Before you discuss your divorce with your children, make sure you have a temporary parenting plan in place and have worked out the logistics of your living situations. Your children will want to know where they will stay, when they will see the other parent, and if they will need to change schools. They will likely ask about where their pets will stay and whether they will need to join a new Cub Scout or Brownies group. If they will have another room in one parent’s new home, have it ready to show them. Reassure them they will still see both parents regularly, and that they can take a couple of their favorite toys when they spend the night at the other house. While it may seem obvious to you, your children need reassurance they will always have the love and support of both parents. Many young children do not understand that adults can stop loving one another, but they do not stop loving their children. Explain that divorce does not change the family relationships between parent and child and that you will both always be there for them. Listen to their questions and concerns with an empathetic ear, and offer a lot of hugs. Reaffirm to them that they did not cause this, and could not have prevented this. Divorce is never the child’s fault, but many falsely believe it is. According to tips for talking to kids about divorce from Mental Health America, stability and routine play key roles in helping children adapt to the dramatic changes in their lives. As much as possible, you and your former spouse need to try to keep the children on a regular schedule. Daily routines should be similar at both houses, and parents should highlight any deviations from their usual schedule on an age-appropriate calendar. Rules and discipline should also be consistent between houses. You may have to sit down with the other parent and talk about what time your children wake up, when they go to bed, and general expectations when it comes to behavior. Consequences for bad behavior should be similar. Many children struggle to feel like any part of life is reliable and predictable during a divorce, so having a steady schedule, routine, and expectations can help ease their anxiety. While it is not always strictly necessary, you may want to consider scheduling a time for your child to meet with a therapist who specializes in children and divorce. Your health insurance may cover the cost, and it could make a significant difference in your child’s ability to cope with their grief over your divorce. Just like adults, children sometimes need a safe space to share their feelings and any secrets they do not feel comfortable telling friends or family. Kids who experience anxiety can learn coping tactics, and a professional can address any behavioral issues that arise. Discuss your divorce with a Spokane family law attorney today. 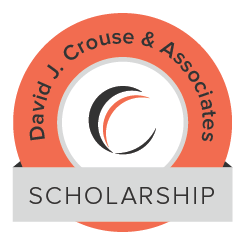 David J. Crouse & Associates, PLLC handles a wide variety of Spokane divorce, child custody, and family law cases. Call our office today at 509-624-1380 to schedule a time to talk about how we can help you.